Many companies have recently faced threats to their documents in the form of ransomware and malicious code as well as data leakage from former and current employees. In spite of this, most companies still need to take extract steps to safeguard their document assets. 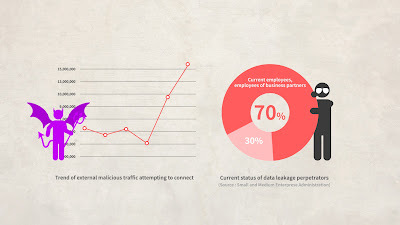 Only 10% of work-related documents are stored centrally on servers. Of course, they are a multitude of traditional solutions in the security market including DRM, DLP, EDMS and others. Companies select solutions from these products based on their needs. However, these solutions are often plagued by compatibility problems, limited functionality, inefficient management tools, and high costs. Is there an innovative product in the security market that can make up for the problems inherent in these traditional solutions? ClouDoc combines DRM, DLP, EDMS, and network separation functionality in one integrated "One Agent" environment. ClouDoc features a variety of security functions for the safe management of documents. 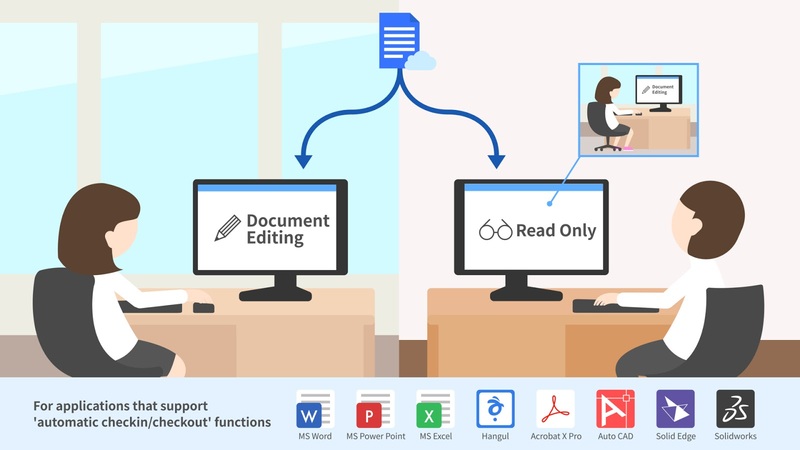 On top of document management functions, the product can also restrict online/offline media such as hard disks, USBs, CD-ROMs, Bluetooth, and online attachments. It can also restrict printing, screen captures, clipboard use, and malicious code. As ClouDoc includes a user interface based on Windows Explorer for user convenience, changes in the user environment are minimized to induce users to naturally save documents centrally. 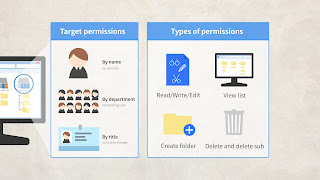 Depending on the objective of use, ClouDoc can provide personal, team, and shared document drives. 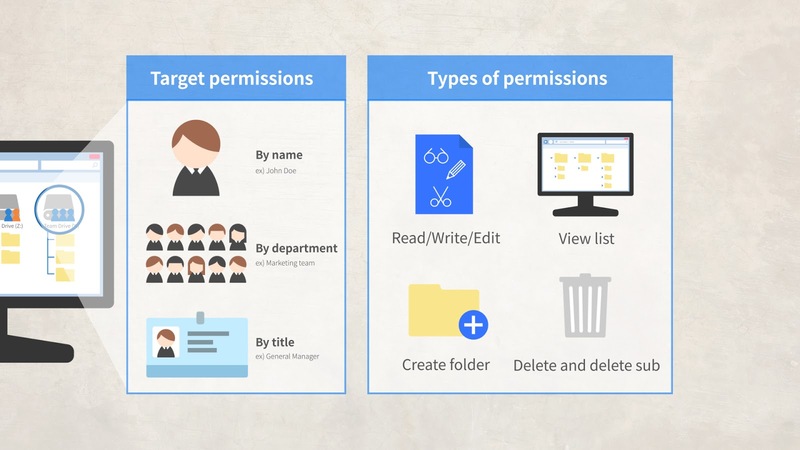 If a user creates and saves a document, ClouDoc policies can be made to block local storage on the C: and D: drives and enforce saving the document centrally. ClouDoc provides a convenient work environment for document management and collaboration. ClouDoc's version management functions stores previous versions of documents just by saving a document. As a result, if a document is accidentally overwritten or saved improperly leading to document loss, it is possible to restore a previous version. Additionally, ClouDoc provides an automatic check-in/check-out feature to prevent duplicate document saving when working collaboratively. When this occurs, it is possible to verify the user currently using the file by checking this file's properties windows. 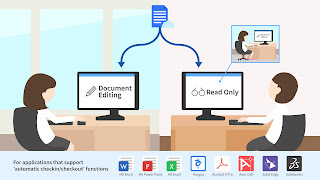 If employees wish to send documents to other employees, they may use a document link without needing to attach a separate file. If a file from the document folder needs to be attached when sending email, approval must be received from a designated approver first. Cloudoc blocks ransomware infection pathways such as web browsers, PDF files, and Windows Explorer as well as general ransomware. To ensure a follow-up response, use in combination with ClouDoc backup applications for even more security. Based on exclusive technology, ClouDoc has been supplying solutions to companies in all sectors including the public sector, manufacturing, distribution, pharmaceuticals, IT, medical services, marketing, energy, and the chemical industry. Moreover, the solution is being expanded to cover all industry secotrs as it allows protection for all document types. 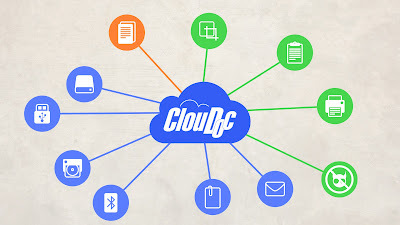 ClouDoc protects its customers' precious documents in a One Agent environment that allows for convenient management and use.